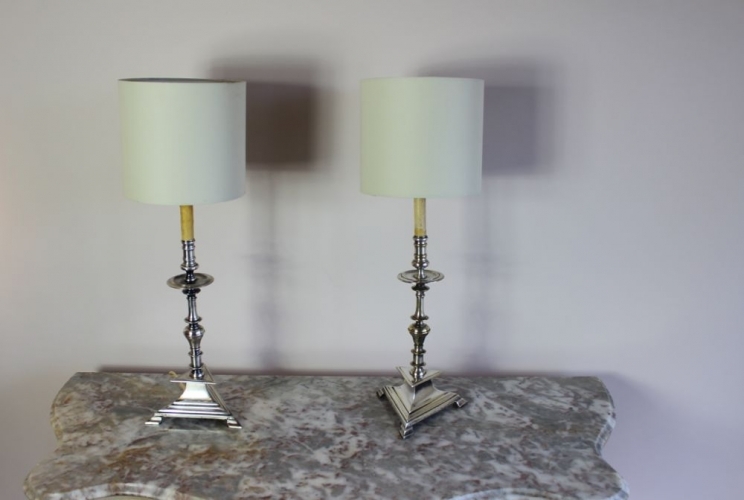 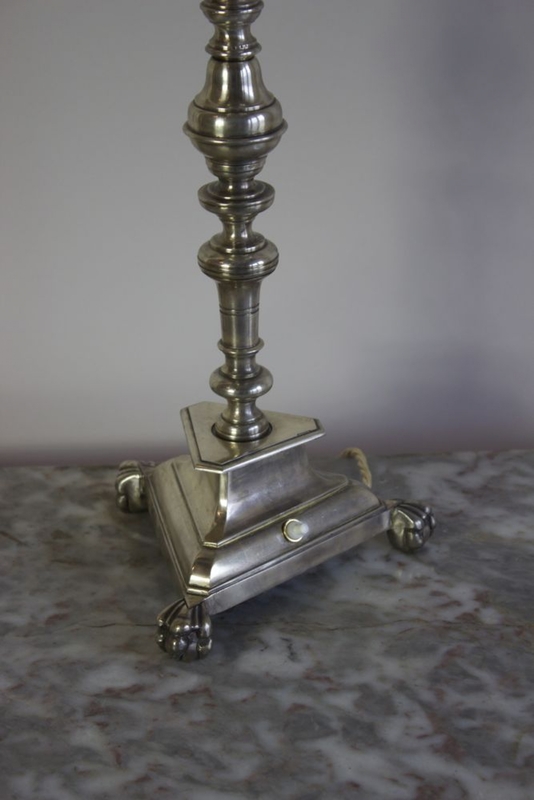 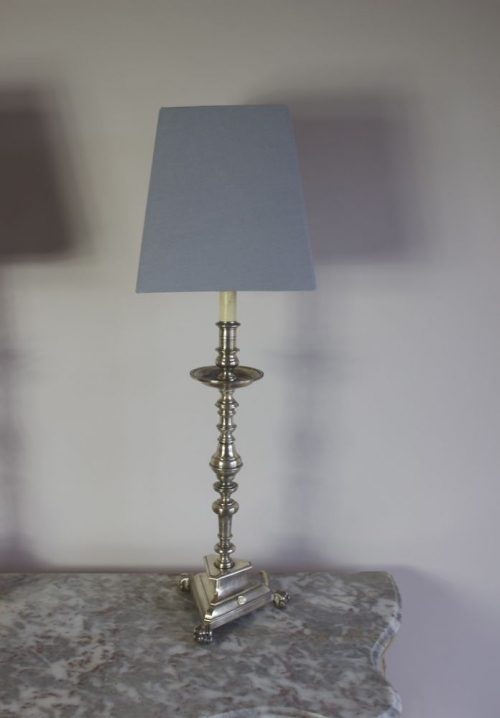 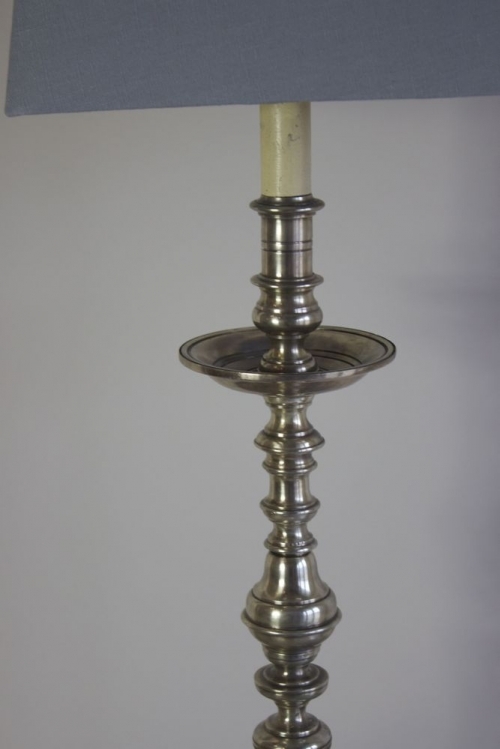 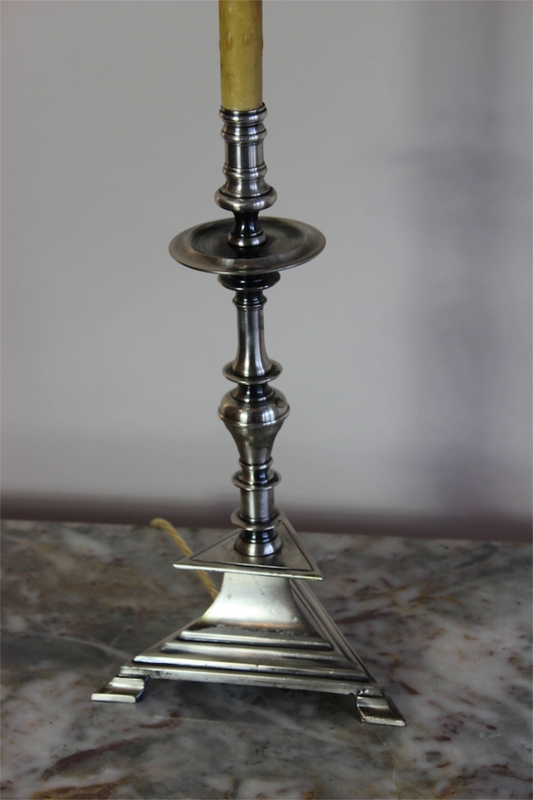 Antique table lamps and bedside lights form a big part of our antique lighting range together with our antique chandeliers, antique lanterns and antique floor lamps, they make up an increasingly important part of our stock. Table lamps are trending, particularly those with a small footprint and flat to the wall shades. 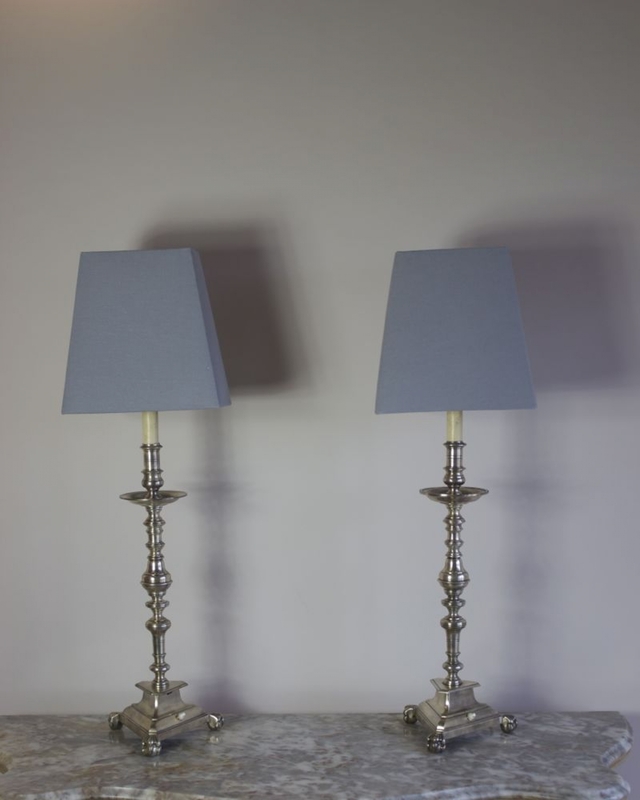 Modern flats do not have wall lighting and increasingly there are more reasons why people need space and task lighting in the form of lamps. 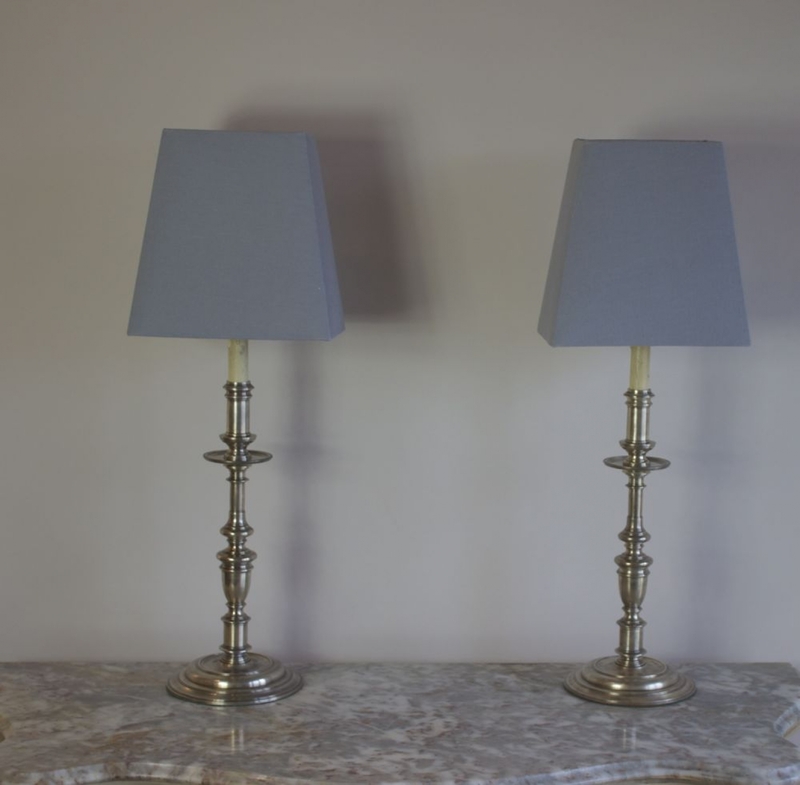 We have these three antique lamps on our antique lighting New Arrivals page today and several more pairs due out of the workshop soon.